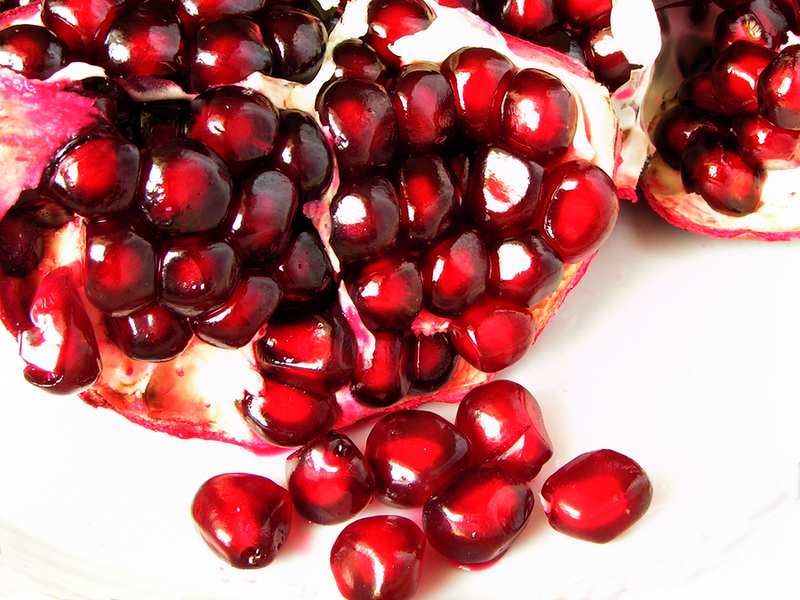 Following on from Monday's blog post about pomegranates, today we will look at the effects of pomegranates on prostate cancer. It's exciting stuff, especially as the last 5 years have seen a great increase in research showing how pomegranates can fight the disease. Initial animal studies in Germany and the US showed that pomegranate extracts can stop prostate cancer cells from growing and then killed the cells, and also prevented prostate cancer from growing and spreading. Following on from this, researchers in UCLA gave 8 oz of pomegranate juice a day to men with prostate cancer who had been treated with either radiation or surgery, but still had rising PSA (prostate-specific antigen) levels - a biomarker of tumor growth. The study lasted 2 years. Before treatment, the average PSA doubling time was 15 months. (Doubling time is how long it takes to for say a PSA of 2 to get to a PSA of 4). After treatment, the doubling time was 54 months - considerably slower. 85% of patients given the juice responded. Other tests showed a 12% decrease in growth of cancer cells, a 17% increase in death of cancer cells. The results suggest that drinking pomegranate juice may be a non-toxic option in slowing prostate carcinogenesis and preventing it. However, these studies are only preliminary and not large scale (upto Phase II). We'll have to wait for further studies to see if drinking pomegranate juice alters the course of prostate cancer overall so that men live longer or better. Phase III trials are currently in progress and some are recruiting. 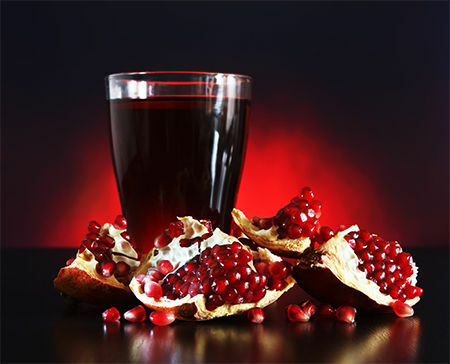 Further studies are now also being conducted looking at the effect of pomegranate on other types of cancer, including breast, colon, lung, skin, leukemia and more. Pomegranate Ellagitanins, Heber D. In Herbal Medicine: Biomolecular and Clinical Aspects, 2nd Edition 2011. I've posted about turmeric before and all it's wonderful health benefits. However, I've always used just the ground turmeric you buy in little spice bottles. Our local Whole Foods now has fresh turmeric, so I thought I'd try that for my new food of the week this week. It's a rhizome, like ginger but it looks a little grub-like when you see it - and not terribly appetizing....Anyhow, I scraped off the outer layer with a spoon (also the best way to remove the "skin" from ginger) and grated some on my salad, using a microplane. I often sprinkle the dried ground spice on salads as it has so many health benefits so thought this would be a good test, without cooking it. A couple of points to note. The smell as you grate it is divine. So pungent. Makes you just want to eat it right away. The vibrant orange color is gorgeous - but also quite persistent...says she typing with orange finger tips and a microplane that is now stained orange in the center!!! It is such a powerful anti-inflammatory and anti-metastatic agent - especially if eaten with pepper. Interestingly enough, I was recently reading about a curcumin supplement (which is a compound in turmeric) that had higher absorption rates than regular curcumin supplements which as normally very low. I wanted to find out what they had done to increase it's absorption. The secret was that they included more of the other compounds in turmeric in the formulation i.e. they made it more like the whole food instead of an isolate! Seems a perfect result that suggests that you eat the whole food and forget the supplement! But don't go overboard with your consumption. Your maximum intake should be 1 tsp a day because turmeric has high levels of oxalates in it, which can increase your risk of painful kidney stones. Did you try a new food this week?